• Bun go Barr 1 is for use in First Class. 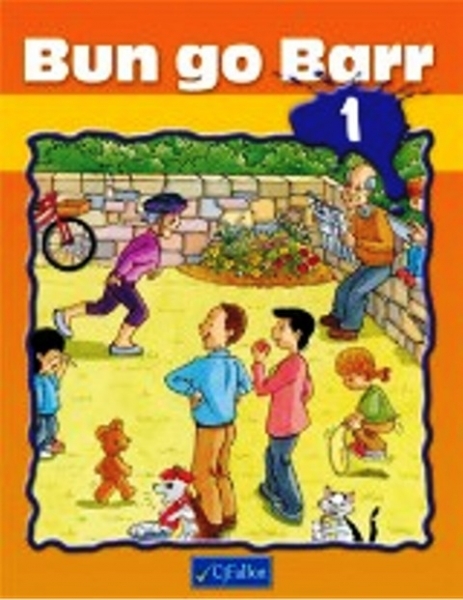 • Bun go Barr 1, the main textbook, contains ten units of six pages, one for each of the ten themes in the curriculum. Again, oral language development is promoted through environmental print and attractive and colourful artwork. • Regular revision is facilitated by five Súil Siar lessons. Teachers will be particularly appreciative of a dictionary which highlights and further consolidates the key words introduced.